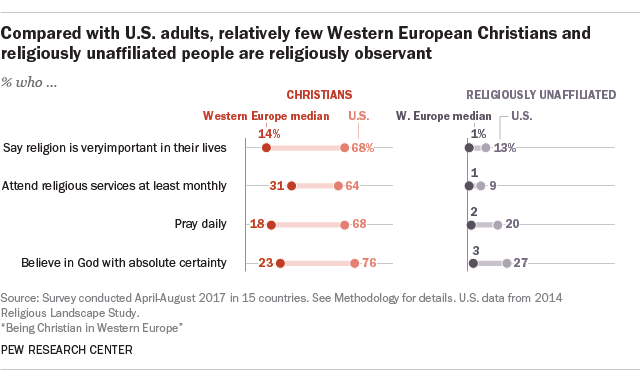 In fact, by several measures of religious commitment, religiously unaffiliated people in the U.S. are as religious as – or in some cases even more religious than – Christians throughout Western European countries. 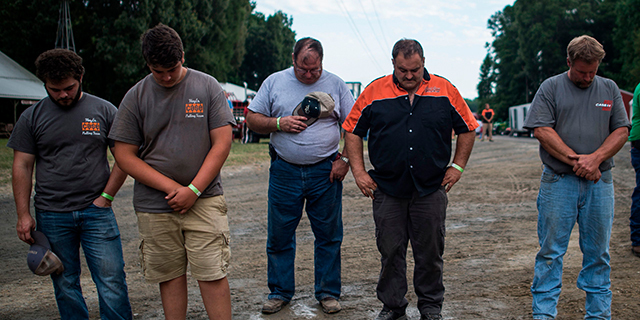 For example, while 20% of U.S. “nones” pray daily, only 6% of Christians in the UK do so. 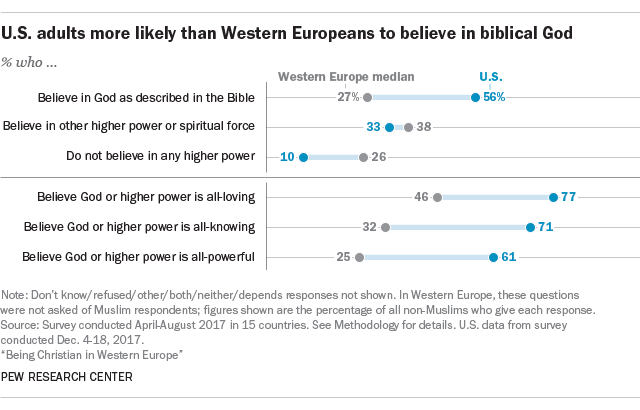 And religiously unaffiliated Americans are about twice as likely as German Christians to believe in God with absolute certainty (27% vs. 12%).